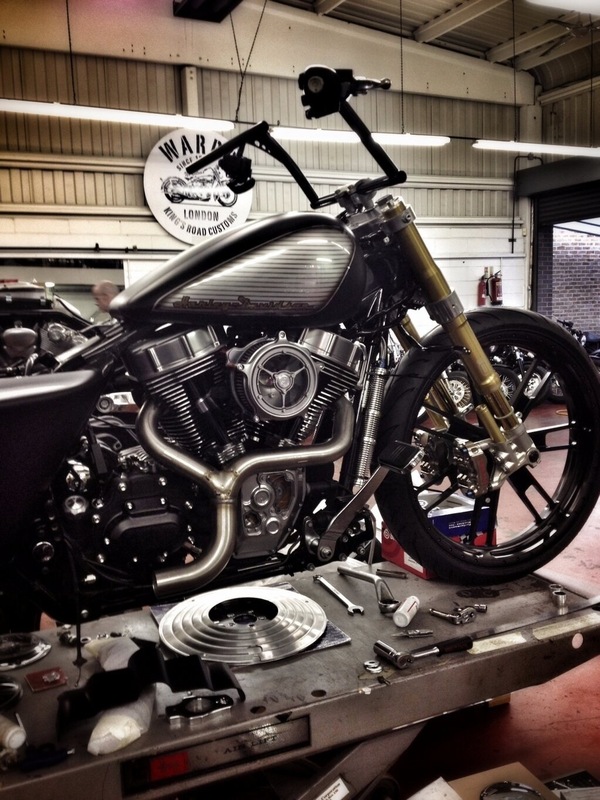 Taking a stock motorcycle and customizing it has become a right of passage for bikers. We put our own stamp on the machine. It becomes unique – personalized – ours. The options are endless and ideas provided by other bikers, magazines and ebay. It’s no longer a question of “if” you’re going to customize your bike but what you’re going to do first and how long you’re going to take it. Most people like much of the bike they buy but the first things that are changed are, in almost every circumstance the pipes, breather and tuner. Pipes change the look, sound and ride so it makes sense that riders switch that out first. If you’re going to do your pipes, you may as well do the breather and the tuner is pretty necessary after these two things are done. It’s what comes next that is the slippery slope – Wheels. When wheels are upgraded it changes everything. You will need a new set of rotors, a new pulley and potentially new fenders depending on the size of the wheel. When you upgrade your bars you’ll have to replace the cables, switches, grips, levers and mirrors. Depending in the setup, you may be in for clamps as well not to mention a few other small things that will run up the register. When you upgrade your pipes it will likely require a decent breather and tuner (not to mention somebody who actually knows how to run a dyno). Upgrading your cycle is an incredible experience in creativity, patience and planning. Make sure to have a full understanding of the unintended consequences of changing each part as you may find yourself sliding down the most expensive slope you have ever traveled.